Bowling is a common and fun activity that’s enjoyed by people across all ages and genders. Bowling is a versatile game that can be enjoyed by both males and females. A good bowling ball has an immense effect on your overall performance. Bowling world doesn’t differentiate between male and female bowlers. However, you may choose the ball depending on your personal preference and style. There are numerous bowling balls available in the market but we have picked up the best bowling balls for women. Keep reading through the article to stay updated. Let’s get started. The Brunswick Tzone Deep Space is an ideal choice for the bowlers who are into straight shots. If you’re just stepping into the bowling world and don’t want to break the banks then the Deep Space is the match made in heaven for you. It has a weight of 16.8 pounds with bullet core and polyester coverstock. The polyester coverstock is beginner friendly as it provides durability so that you can practice for a long period without damaging the ball. The Deep Space works extremely well on the dry lanes which is the most favorable lane for the newbies. Hooking, in general, is not the cup of tea for the beginners so you can learn how to shoot straight with the Deep Space then move into more advanced equipment. The design of the Deep Space is top-notch. Its eye-catching beauty will surely own your heart at the very first glance. It has a swirl design that’s different and unique than its competitors. It has numerous color combinations that glow under blacklight. Like most bowling balls, it comes undrilled. This feature enables you to drill the holes according to the size of your fingers. The cherry on the top is that it comes with one-year manufacturer warranty so that you can replace or repair it anytime within the given period. 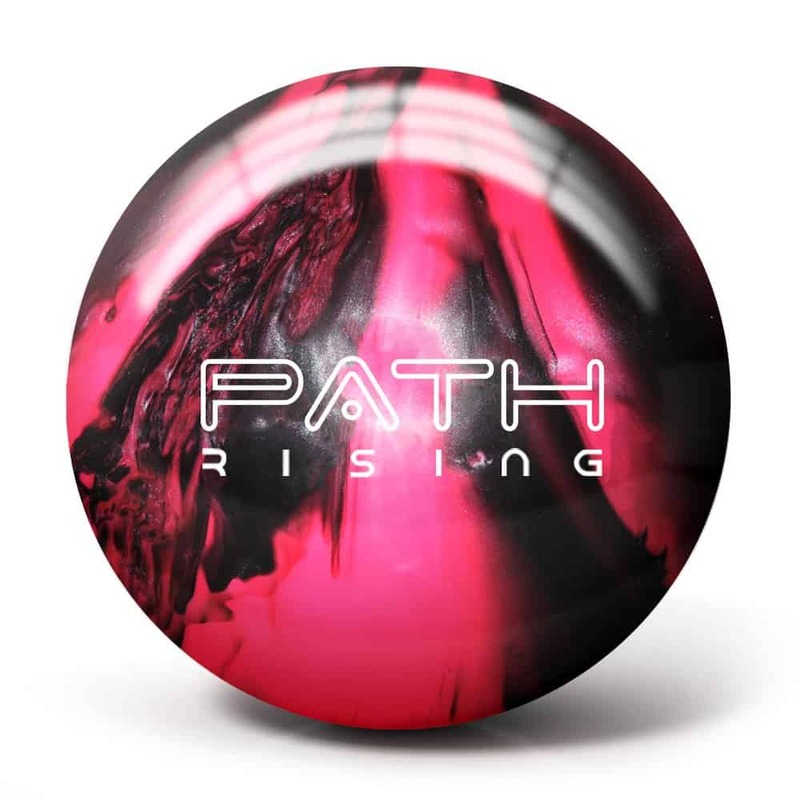 The Pyramid Path Rising Pearl is another superb entry level bowling ball that doesn’t require you spend a fortune on it. The aesthetic looks along with the sturdy finish will surely win the hearts of the ladies in no time. The Rising Pearl comes in different weight size ranging from 8lbs to 15lb thus it gives ladies the flexibility to pick a size that matches their strength level. It also comes in various color combination so you’ll always find a color that suits your style and personality. The Pyramid Path Rising Pearl comes with Pyramid’s signature New Era 139 symmetric core wrapped in Path’s special reactive pearl coverstock with 1500-Grit/Polished Factory Finish. The symmetric cores are known for their ability to deliver a standard result irrespective of the player’s skills. This bowling ball is an ideal choice for medium dry lanes. This ball is a perfect choice for straight shots and it also provides moderate hooks. The Pyramid Path Rising Pearl comes undrilled so it gives you the flexibility to drill the holes to fit your fingers. The weight of the ball is one the most crucial determinants of a good bowling ball. If you’re tired of all these heavy balling balls and in search of something lightweight as well as durable then you’re in a luck. The Ebonite Maxim Bowling Ball comes in eight different size variants so that no one has to struggle to find their perfect match. The Ebonite Maxim is an awesome fit for the beginners who are willing to take their game up a notch. This ball is best suited for dry lanes. It has a three piece core with a polyester cover that is good enough for the beginners. Though it doesn’t offer much hooking potential, however, it’s great for throwing straight shots. In addition to its superior performance, it also has mesmerizing looks that will steal the hearts of the ladies in a jiffy. The beautiful shade of blue is a treat for the eyes. On top of that, the huge weight selection makes it very desirable to the women. 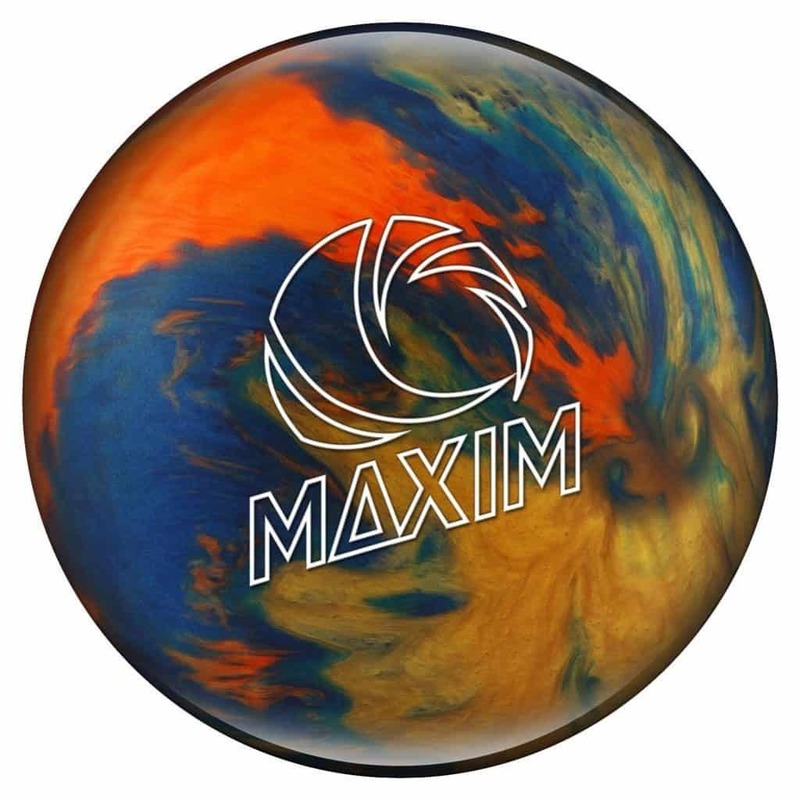 Overall, the Ebonite Maxim has a superb price to performance ratio and it will definitely help you deliver a good performance in the bowling alley. The Hammer Dark Legend is not an ordinary bowling ball. It’ll hit the pins like a hammer indeed. This ball is made using Hammer’s unique Hammer Gas Mask Core Weight Block that’s wrapped in Semtex solid reactive coverstock with 500/2000 Abralon Finish that amplifies the overall strength. This bowling ball weighs around 15 pounds and it’s specially designed for the advanced players. It’s quite on the heavier side hence it’s not the ideal choice for novices as they generally play on the dry lanes. 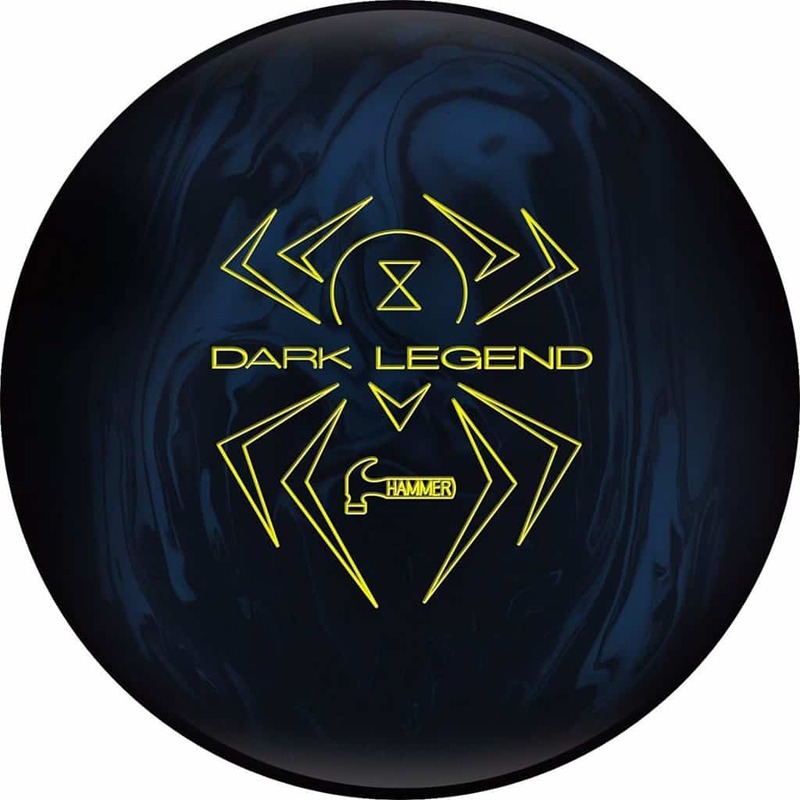 The Dark Legend does live up to its name and it’s one of the strongest bowling balls in the Black Widow line till date. It’s suitable for the advanced players who’re looking for a strong companion to rock the bowling alley. It gives an earlier read and smooth reaction of heavy oil patterns. 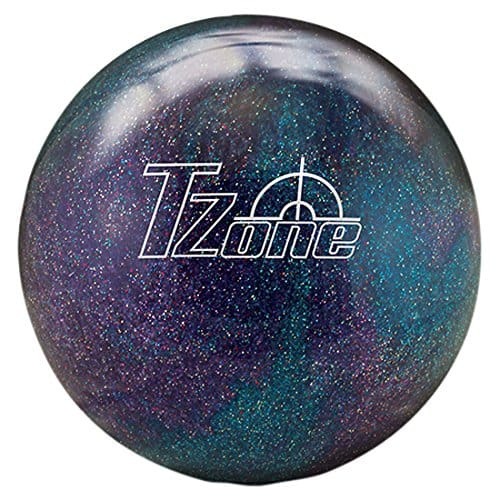 This ball is a great option for low rev bowlers. It has great hooking potential and it offers a smooth motion in heavy oil lanes. It’s a superb choice for the professional bowler who doesn’t want to make any compromise with their equipment. 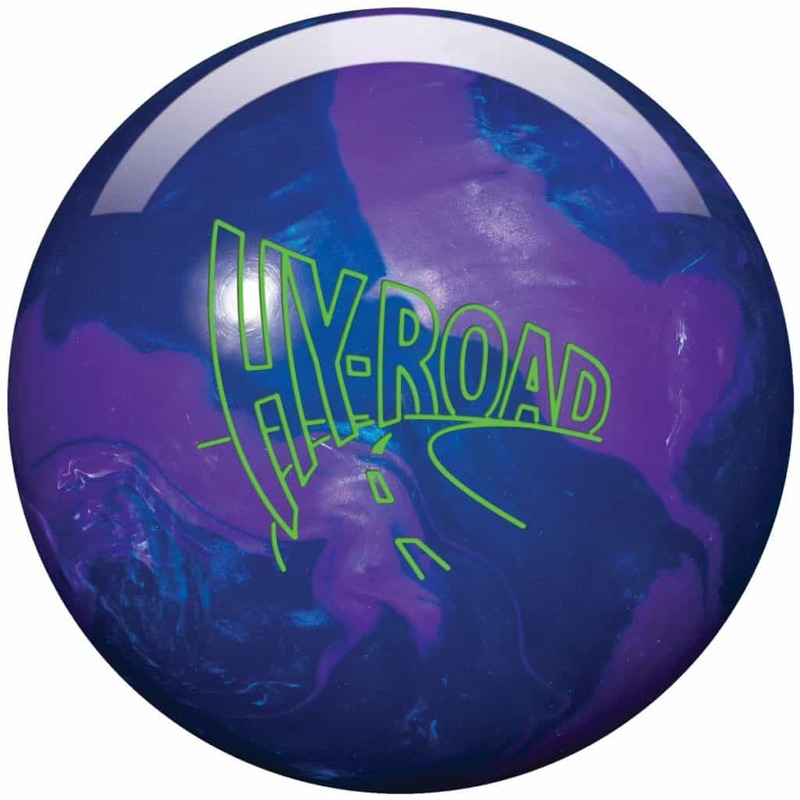 Storm is one of the most prominent names in the bowling world and their Hy-Road Pearl is no exception. It’s made with Storm’s innovative Inverted Fe² Technology that works like a charm in the bowling alley. However, a good core is nothing without a good cover. Hence, Storm wrapped the Hy-Road Pearl with R2S Pearl reactive coverstock that has 1500 grit polish finish. The Storm Hy-Road is suitable for the advanced level player or the intermediate level players who are looking for good equipment to up their game. The symmetrical core enables the ball to have great hooking potential. This ball also comes undrilled so it that you can drill it according to the shape of your fingers. This bowling ball comes in five different sizes. This enables the ladies to choose the one that fits their strength level. The weight of the ball helps to transfer more energy and have a massive impact on the pins. It comes in a sophisticated shade of blue that will surely grab the attention. Last but not least it has an aroma of Grape Punch! Now that you have gathered some insights about the top bowling balls available in the market, let’s have a quick look at the factors that you need to consider before your hands on one. Your playing style plays an important role when you’re looking for a bowling ball. There are different balls available in the market for different playing styles. If you’re a straight shooter then the bowling balls with polyester coverstock are plenty enough to get the job done. However, if you’re an advanced player who requires some hooking potential in the ball then investing in a good ball with resin coverstock will be a wise choice. The Bowling lane condition is another important determinant for picking up the perfect bowling ball. Nowadays, the manufacturers produce different bowling balls for different lane condition. There are different lane conditions such as oily, dry or medium. Usually, the beginners start their journey of bowling on a dry lane and then move towards medium and oily lanes as they develop more skills. Bowling balls come in three different designs and each has its own merits and demerits. The three-piece design is one of the top favorites by the newbies as they are cheaper compared to the other designs and yet offers excellent performance. The two-piece design has a heavy center core with smooth action. The asymmetric ones are the ideal choice for the skilled players as they offer better revolution rate that will enhance the overall performance. Women naturally have lean built so getting a bowling ball that’s too heavy would be a wrong choice. For the beginners, it’s better to start off with a lightweight ball then move into heavier ones as you gather more skills. Price is one of the most important determinants for every purchase decision. We don’t recommend to go for a ball with a hefty price tag. Start low then gradually increase with time. There are several things that you can do to keep increasing the durability of the ball. Regular cleaning of the ball enhances the life of the equipment to a great extent. If you play on oily lanes then the ball with pick up dirt from the lane surface. So, clean the surface of the ball so that it moves like butter on the alley. You can also use degreaser after every bowling season to keep it good as new. Also, you can take the ball to a pro shop for further cleaning. 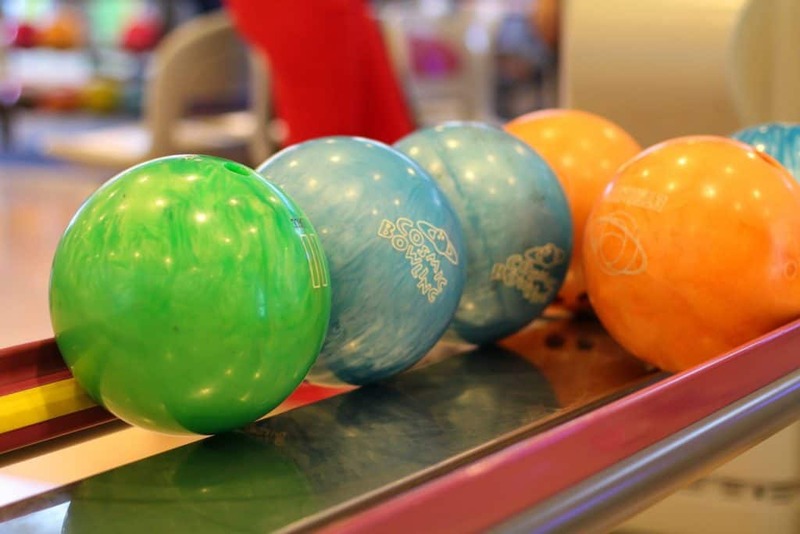 Bowling is one of the most popular sports due to the fun and spontaneity it offers. In this review, we have gathered the top bowling balls because you deserve no less than the best. The pros and cons are here to guide you to your best match. So, get your hands on the best bowling ball and rock the alley! How to Throw a Bowling Ball: How to Bowl a Strike Every Time?